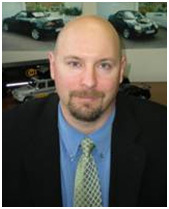 Christian Schumacher is the Head of Systems & Technology for Continental Automotive Systems N.A., a position he has held since January 1st, 2010. In this capacity, Schumacher is responsible for all activities in the North American Region for this central function. Prior to this position, Schumacher was Engineer Manager, Advanced Driver Assistance Systems and Contiguard (the Active Passive Integration Approach) for Continental Automotive Systems N.A. In this capacity, Schumacher was responsible for Engineering of the North American Region for these product areas. In 2005 and 2006 he was managing a team of software engineers supporting all core Electronic Brake Systems (EBS) software activities in North America. Between 2002 and 2005 Schumacher led a team of EBS software algorithm engineers supporting all North American Ford Applications including the introduction of Electronic Stability Control (ESC) and Rollover Stability Control (RSC) with Ford. He began his career with ITT Automotive Brake Systems (Alfred Teves, Frankfurt, Germany) in 1997 in Control Strategy Engineering involved in the development of Traction Control Systems and ESC and moved to the United States in 1999 to adapt and introduce the core Continental ESC to the American market. Schumacher earned a Master Degree in Electrical Engineering from Technical University Darmstadt (Germany) in 1997. He currently lives in Lake Orion, Michigan with his wife and two children.